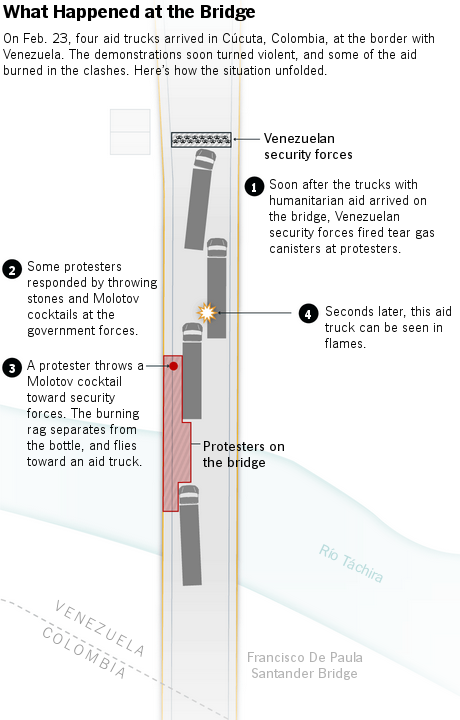 10 Mar 2019 – The narrative seemed to fit Venezuela’s authoritarian rule: Security forces, on the order of President Nicolás Maduro, had torched a convoy of humanitarian aid as millions in his country were suffering from illness and hunger. A version of this article appears in print on March 11, 2019, on Page A1 of the New York edition with the headline: Maduro Burned Aid? Footage Shows Otherwise.